An efficient professional toolkit for generating automatic transcriptions, editing, aligning, and QCing caption files, and stitching captions into video files. 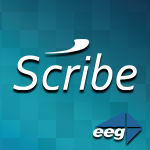 Includes Scribe, a leading professional product for closed caption transcription, editing, and QC, and CCPlay FilePro, a companion application for embedding caption data in video files including MXF, MPEG Transport Streams, Quicktime, and BMFF formats. These tools take you through every step of the closed captioning process: transcription, timing alignment, screen positioning, search and correction, frame-by-frame playback, automated quality checking, and output to either captions-only formats (Timed Text/TTML, WebVTT, SCC, SRT, ECF, etc) or full embedding to video formats. Automatic transcription and alignment is also possible through linkage with EEG's Lexi Automatic Captioning tool.